Brian Landry draws on a broad base of intellectual property experience involving patents, designs, trademarks, and copyrights and technical expertise to help clients identify, protect, and enforce their intellectual property. Brian has significant experience in the medical devices field as well as consumer products, building materials, and devices and software having research, diagnostic, and therapeutic applications. Brian has handled patent matters involving a variety of medical technologies including cryotherapies for numerous medical and cosmetic indications, phototherapies, urologic devices, neurologic interfaces, surgical tools, and novel uses of existing therapeutics. Brian also counsels clients involved in inventorship and priority disputes arising under interference and derivation rules. Brian's clients include universities, research hospitals, and companies of all sizes, many of which build on licensed technology. For example, Brian advised BioTrove, Inc., a Massachusetts-based laboratory equipment maker in all aspects of intellectual property strategy including the development and prosecution of its patent portfolio (including portfolios licensed from two leading research universities) and its trademarks for several years prior to and through its acquisition by Life Technologies and spinoff of Biocius Life Sciences (later acquired by Agilent Technologies). (The BioTrove transaction was listed as one of the top 10 in vitro diagnostic deals in 2009 by Price Waterhouse Coopers in their publication Diagnostics 2011). Brian works to streamline patent prosecution and leverage legal developments to maximize the value of clients' patent portfolios. For example, Brian frequently counsels clients regarding the use of patent prosecution highway programs to leverage allowance of a patent application in one country to expedite examination in other countries. Brian also frequently counsels clients on challenges to patent term adjustment awards that extend the enforceable life of an issued patent. 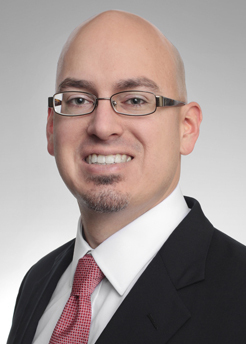 Prior to joining Saul Ewing, Brian was, for seven years, an associate and technology specialist for an international AmLaw 100 firm, where he counseled companies on how to identify, protect, and grow their intellectual property assets. Regeneron v. Merus: Sui Generis or a Regener-ating Fact Pattern?